Model-turned-actress Kriti Kharbanda made her acting debut in 2009 with the Tollywood action-drama Boni, and has since appeared in over 20 films across Kannada, Hindi, Telugu and Tamil cinema. She is perhaps best known for her performances in films like Googly (2013), Bruce Lee: The Fighter (2015), Raaz: Reboot (2016) and Shaadi Mein Zaroor Aana (2017). The actress was ranked number one on Bengaluru Times' List of Most Desirable Women for the year 2013, and has been nominated twice for Filmfare Awards besides winning one SIIMA Award. Kriti, despite being born to a Punjabi family on 29th October, 1988 in New Delhi, was raised in Bengaluru after her parents moved to the city soon after her birth. She studied at Baldwin Girls High School after which she attended Bishop Cotton Women's Christian College. She then graduated with a degree in jewelry designing from Sri Bhagawan Mahaveer Jain College. While still in school, Kriti appeared in commercials. She continued to model for television commercials through her college days, the most prominent of which were Bhima Jewellers, Spar, and Fair and Lovely. After spotting Kriti on Spar's billboard, NRI director Raj Pippalla, who was looking for a female lead in his movie, offered her her debut movie Boni. Although initially reluctant, Kriti accepted the offer after her mother encouraged her to take up the role. Cast opposite Sumanth, the movie opened to negative reviews but Kriti's performance received positive reviews. Although the movie flopped at the box-office, Kriti managed to bag the lead role in Jayanth C. Paranjee's romantic-drama Teen Maar opposite Pawan Kalyan. With her next movie, Kriti went on to make her Kannada movie debut Chiru in 2010. 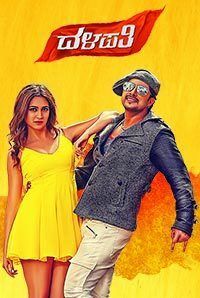 The movie, co-starring Chiranjeevi Sarja opened to mainly negative reviews, but resulted in Kriti gaining recognition in the Kannada film industry and receiving various new offers. She was then seen in the Telugu crime-action-thriller movie Mr. Nookayya opposite Manoj Manchu, after which she appeared in Prem Adda, the Kannada remake of the Tamil movie Subramaniapuram. For the character of Girja in the movie Prem Adda, Kriti had to play the role of a small town girl. She considers the role to be her most challenging role, considering she has to get a tan and walk barefoot. Her other Telugu releases of the year were Bhaskar's Ongole Githa opposite Ram Pothineni, and Sunil Reddy's Om 3D, Telugu cinema's first 3D action film, opposite Nandamuri Kalyan Ram. Both the movies, despite opening to mixed reviews, failed at the box office. Despite not having an exceptionally great year at the movies, Kriti's Kannada movie career saw an upswing when she was cast in the 2003 romantic comedy Googly directed by Pavan Wadeyar co-starring Yash. The movie opened to positive reviews and went on to become one of the highest-grossing Kannada movies of 2013. In 2014, the actor was seen in Kannada movie Super Ranga co-starring Upendra, and her performance in the movie won her the Critics Award for Best Actress at the South Indian International Movie Awards and also won her very first Filmfare Award nomination for Best Actress. Her other releases of the year included movie Belli co-starring Shivarajkumar, and Thirupati Express, the Kannada remake of the Telugu movie Venkatadri Express, both of which opened to positive reviews. Following a Filmfare Award-nominated performance in the Telugu action comedy Bruce Lee - The Fighter (2015), Kriti made her Bollywood debut with the horror thriller Raaz: Reboot (2016), where she starred alongside Emraan Hashmi and Gaurav Arora. However, the movie failed to impress despite the hype surrounding it. The actress' career took an upward trajectory in the subsequent year, when she appeared in the Bollywood films Shaadi Mein Zaroor Aana (2017) and Guest iin London (2017), besides making her debut in Tamil cinema with Bruce Lee (2017). Having made her mark in Kannada, Telugu, Tamil and Hindi cinema, Kriti continued her dream run in 2018 with big projects across various industries. 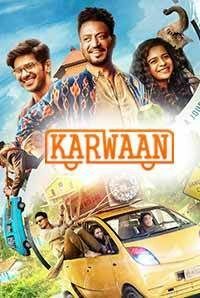 Among these were the Bollywood movies Yamla Pagla Deewana Phir Se (2018) and Karwaan (2018); and the Kannada movie Raana (2018). She is also set to appear in a central role in the fourth installment of the Housefull franchise (2019) which features Akshay Kumar, Bobby Deol, Riteish Deshmukh, Kriti Sanon and Pooja Hegde. Kriti Kharbanda ranked number one on Bengaluru Times' List of Most Desirable Women for the year 2013. Kriti Kharbanda holds a diploma in Jewel Designing. As a child, Kriti Kharbanda appeared in several TV commercials and during her college days she also was part of several advertising campaigns for brands such as Fair and Lovely, Bhima Jewelers, and Spar. Kriti Kharbanda had no plans of becoming an actress and she got her first acting opportunity after director Raj Pippala saw her photo on a billboard advertisement. Raj then contacted Kriti and called her for an audition. Eventually, the actress was selected amongst 150 girls and made her debut in Raj Pippala's Telugu movie Boni. After the success of her movie Googly in 2013, Kriti Kharbanda received a couple of Bollywood offers, however, the actress had to decline them as she had prior commitments.